Alberta Vehicle title loans with Yes Plan Financial can get you the cash you need now. Do you need cash for taxes, car repairs, home renovation or anything else? We offer quick cash for people in Edmonton and Alberta with a fast car title loan in a few hours. Get the cash you need today with Yes Plan Alberta vehicle title loans. Vehicle title loans get you the money you need today, while you keep driving your vehicle with a Yes Plan Financial vehicle title loan. Our title loans are available to vehicle owners in Edmonton or anywhere else in Alberta. Title loans are often short-term loans that can be processed in as little as a few hours. Instead of sources like pay day loans you should consider vehicle title loans. Title loans from Yes Plan Financial can be as large as $100,000, and are eligible for refinancing and interest-only payments. 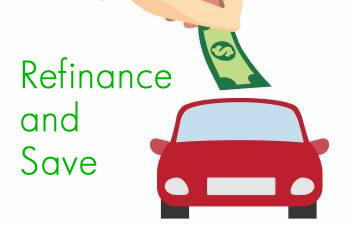 The maximum amount loaned is determined by the value of the vehicle being put up as collateral. Yes Plan Financial can help you work through tough times until you can pay off the vehicle loan in full. If you have a car or vehicle with a clear title that is free of liens, you can drive away with the cash you need. A vehicle title loan is a short-term loan that you guarantee by using the equity in your car, truck or SUV,as collateral. Use the equity in your vehicle to get the money you need TODAY with a Yes Plan vehicle title car loan. We will do our best to get you the lowest rates possible for a truck, SUV or car title loan in Alberta. The best thing about a Yes Plan Financial Title Loan is that you get to keep driving your car while you pay back the loan! Harassed by creditors and haunted by overdue bills? Then your best solution is probably our fast vehicle title loan. Give us a call or apply today with our simple no obligation application for Alberta vehicle title loans.